New York Spring/ Summer 2015 Fashion Show. but the hair was simply a m a z i n g as well. B A M ! ! 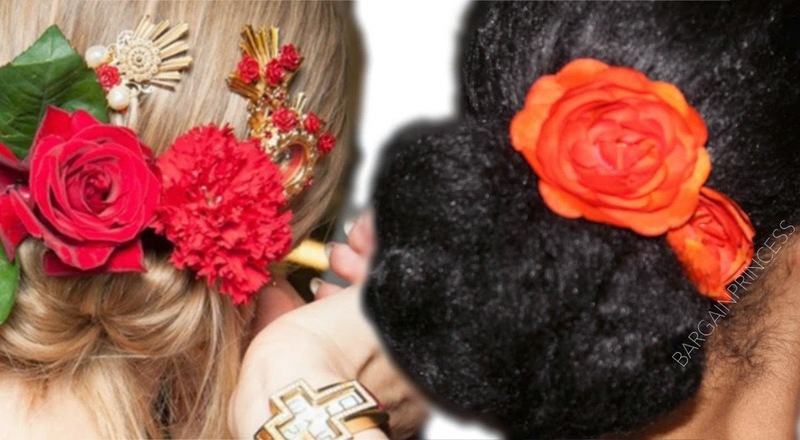 adorned with gold metal barrettes & real red flowers. because I'm not balling (y e t..lol) to just cut up real roses for my hair. Is this a hairstyle you would rock?